The Macintosh already enjoyed its silver anniversary this year, but it’s not the only Mac product to hit a milestone in 2009. Twenty years ago this week, Apple introduced its first laptop computer—the Macintosh Portable. At $6,500 (that’s $11,313 in 2009 dollars), 16 pounds, and the size of a briefcase, it failed to realize the dream of the perfect Mac laptop. But a lackluster reception didn’t hold Apple back for long. Having learned from its mistakes, the company rolled out its PowerBook series just two years later—a release that offered more innovation and influence than Apple’s then-low market share would suggest. Over the years, many important Mac laptops have defined Apple’s course in the portable market. Here are five most significant laptops to come out of Cupertino in the last two decades, along with why they enjoyed such a lasting influence. Why It’s Important: By 2006, the G4 processor was showing its age, and Mac fans nervously fretted about Apple losing its edge technologically. The PowerPC G5 had ruled the Mac desktop for some time, but Apple claimed it couldn’t find a way to squeeze the hot and power-hungry G5 chip into a laptop form-factor. 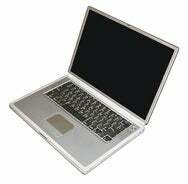 The only way out for Apple was to switch to Intel processors in its laptops, which it did with the MacBook Pro in 2006. By doing so, Apple unleashed a four-fold increase in performance and charted a new technological course that would allow the company to stay competitive in the portable computer space through today—and beyond. Why It’s Important: Like other Apple laptops before it, the PowerBook G4’s sleek and simple design broke the status quo of bulky, bulbous, plastic portables that—until then—had dominated the marketplace. 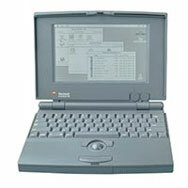 The PowerBook G4 shipped with durable titanium case that induced slack jaws and drooling in all who wished the company of such a beautiful machine. Also, at only 1-inch thick and completely flat, it was Apple’s thinnest laptop at the time. The PowerBook G4 line continued to push itself to new heights with incremental revisions over the years, but none made quite the initial splash as the first model released in 2001. 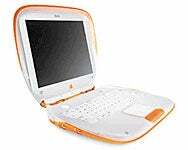 Why It’s Important: The iBook’s radically-different candy-colored design initially overshadowed a much more important change brewing beneath the surface: integrated wireless Ethernet support. The iBook shipped with a built-in antenna and a slot for an internal AirPort card, Apple’s implementation of the 802.11b Wi-Fi standard—a world’s first for any laptop from any manufacturer. Apple was the first to step out and openly declare that Wi-Fi was the way of the future, setting the stage for a broad, industry-wide adoption of wireless networking in later years. 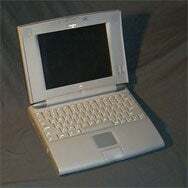 Today, all laptops ship with some form of wireless networking support, and it all started with the iBook in 1999. Why It’s Important: The PowerBook 520 revitalized the PowerBook brand with a number of new features, including built-in stereo speakers, Ethernet, and PC Card slots. But more important, it was the first laptop in the world to include a touch-sensitive trackpad in place of the earlier trackball. The trackpad’s central position, similar to that of trackballs before it, also set the standard that most laptops follow today. Overall, Macs proved especially influential in laptop pointing devices over their PC counterparts due to the fundamentally graphical nature of Mac OS, as opposed to MS-DOS. Why It’s Important: Apple’s PowerBook 100, along with the 140 and 170, launched Apple’s long-lived PowerBook line of laptops, a culturally important brand which would dominate Apple’s portable offerings until the switch to Intel CPUs in 2006. The 100 addressed the three major problems critics had with 1989’s Macintosh Portable—size, weight, and price. Until the PowerBook series, few laptops shipped with built-in trackballs (due to the predominance of MS-DOS on competing machines), and none featured them in a prominent center-position like Apple’s laptops.